How to configure the .mtl file in Tesseract ? Pls a pratical example if possible. You don't use the .mtl file in Tesseract and the .obj file also contains UV mapping. 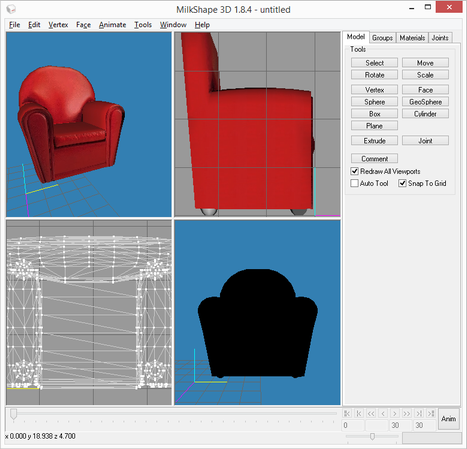 In the .mtl file is normally just specified wich textures to use. Look at the "obj.cfg" in the model folders as example how to load a model. Hello can you do a workflow example to how export any object and make the right file for Tesseract ? 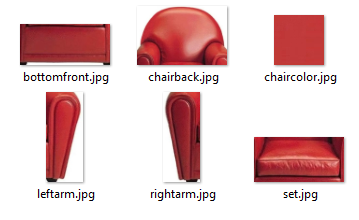 My problem is with objects with multiple textures. There should be a line with "o <name>" on the top of the file and the next one after everything related to the first mesh. Ok i got it. But why Tesseract doesnt suport the simple and easy .mtl file to adjust the textures ???? Or if your have a solution to automatically create a Unwrapped texture with a export option with a Solfware or command line tool this will be very helpfull to me. I dont know if you understand me. i want a software that can read this object with this textures files and create only 1 file with all textures with respective mapping. Doing this automatically. No, I don't understand you. You can use different textures for different meshes from one or multiple .obj files. 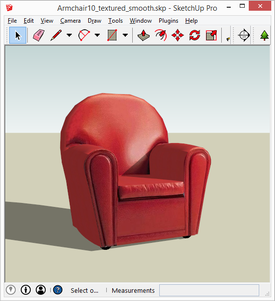 Also if anyone knows how to do, but please download the file I posted to see how does the export Sketchup. Your problem is that there are used different textures for one mesh. I didn't even know this is possible in .obj files. However, this is not supported. There has to be one texture per mesh only. This mesh has low quality anyway, e.g. there are some missing faces and many faces use just colors, no textures. I think, the .obj support should be increase in tesseract. This model works in all other platforms. 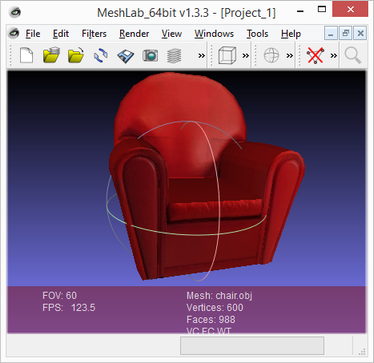 You can try in meshlab for example. 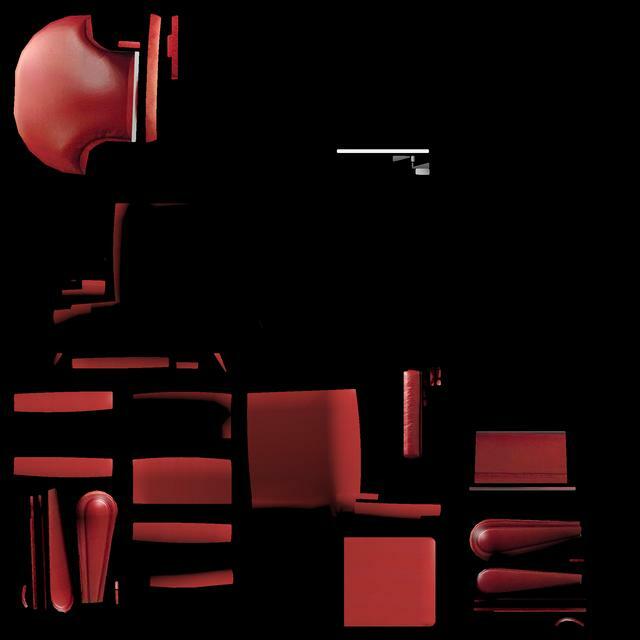 And the color is a texture too (chaircolor.jpg). Many other people is trying to load .obj in Tesseract with no lucky, because this is a problem. I think .mtl file should be supported , this will cause a big confusion. The .OBJ support in Tesseract is not completed. 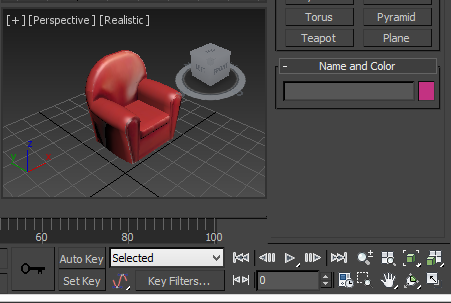 3ds Max 2015 ok ! No wonder you are having problems, the model is such a mess with all pieces thrown around. Im trying to set it up here but.... please use a model with a single texture for all of a mesh part, with at least a 1024x1024 or 2048x2048 with normal maps. with at least a 1024x1024 or 2048x2048 with normal maps. One texture = UV Unwrapp work = Lot of Work = Difficult Work = Slow work. But you should really put textures in every part of the model, otherwise it will look like this, with broken faces and such.